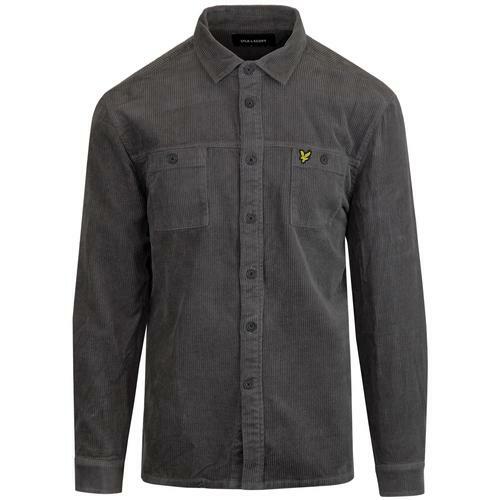 Ben Sherman men's retro military Northern Soul badged overshirt in Black. 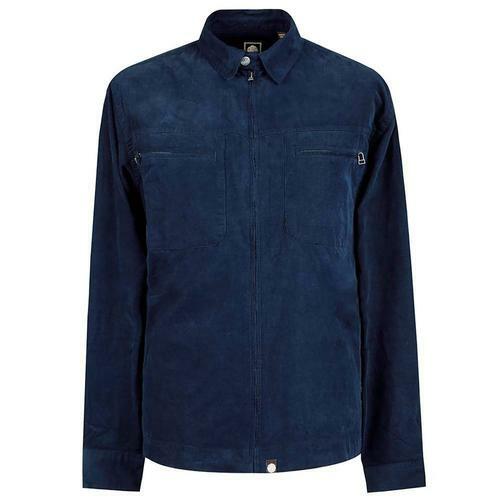 The classic overshirt with mod cutaway collar, patch chest pocket and stylish Ben Sherman signature buttons. Three Northern Soul themed pin badges come with the overshirt - ready to be placed on the garment for maximum visual effect. 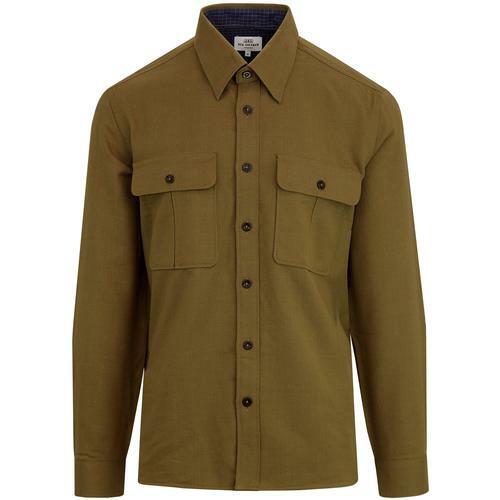 Hints of John Lennon styling and a surefire Ben Sherman mod clothing classic - The Ben Sherman retro badged military overshirt. 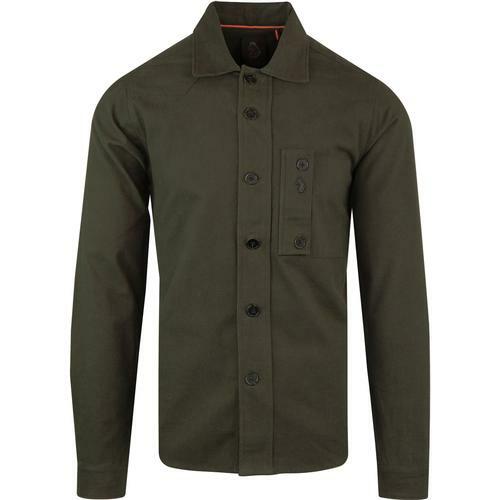 Ben Sherman men's retro military badged overshirt in dark green. 3 Northern Soul themed pin badges included (removeable). 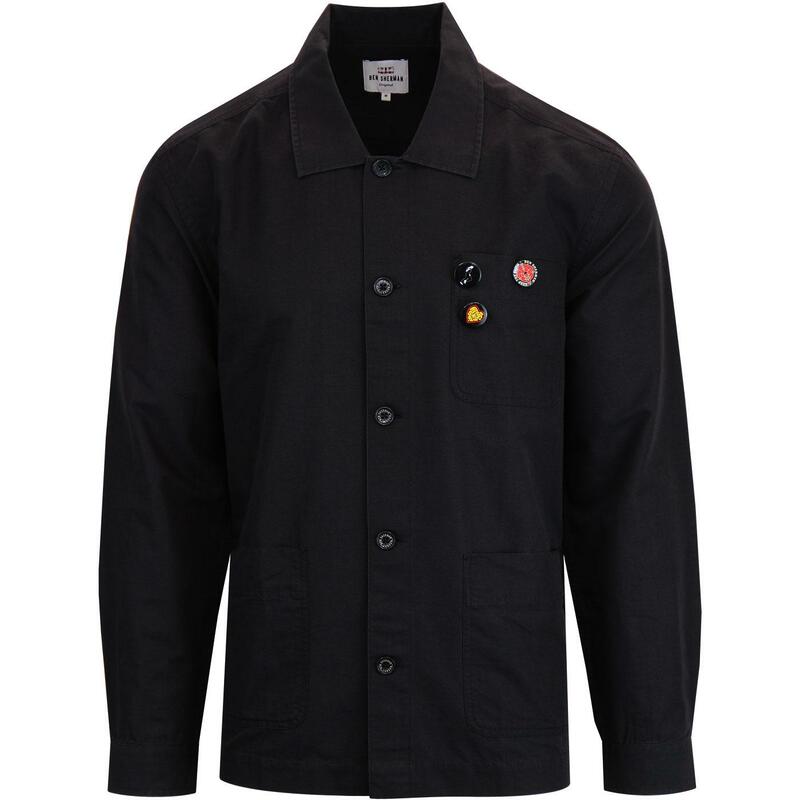 SKU: 0050814 290 Badged Overshirt. Composition: 49% cotton, 51% tencel.